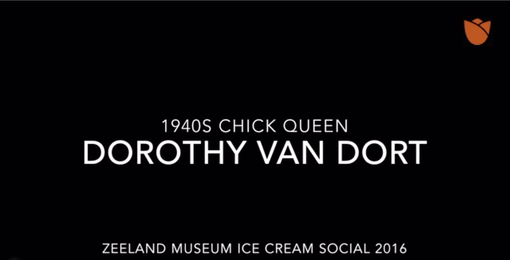 Dorothy Van Voorst was 16 years old and a senior in high school in the early 1940s when she was crowned Zeeland Chick Queen. 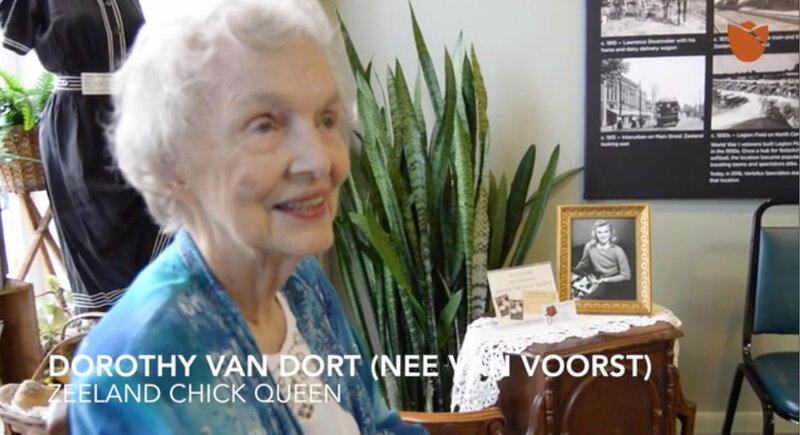 Thursday evening, the 91-year-old sweetly greeted everyone who approached her to ask if she was the Chick Queen in the photo that hung on the Zeeland Museum wall. 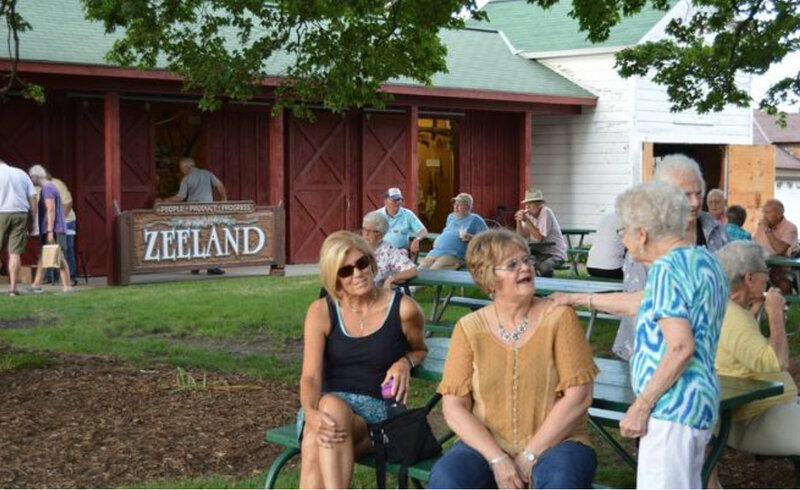 Crowds milled around the museum and volunteers scooped ice cream in the yard as a bluegrass band played during the annual ice cream social, Thursday, Aug. 18, to celebrate 40 years of the Zeeland Historical Society. “A lot of the original people who started this place are coming back to see how it’s changed,” museum Manager Suzy Frederick said. 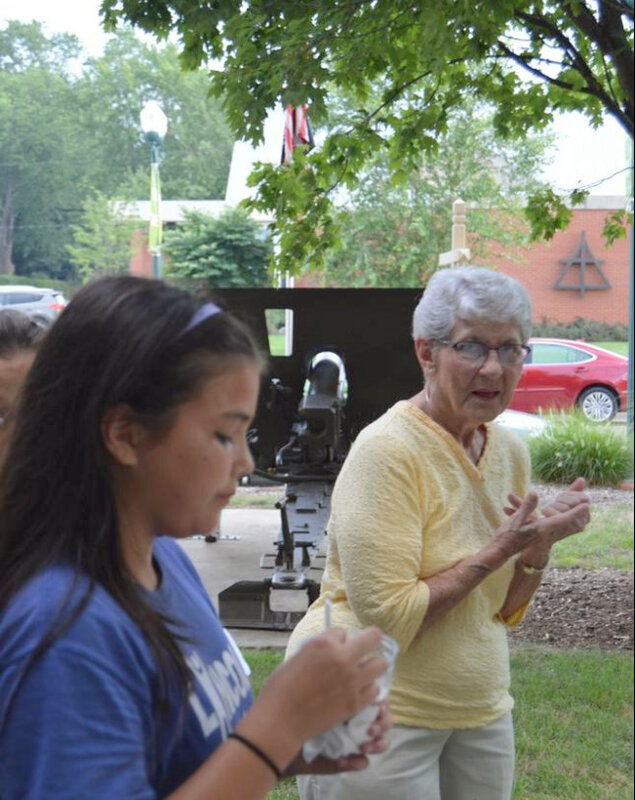 Others are discovering historical connections, seeing pieces of Zeeland history their parents donated and they hadn’t seen in years. 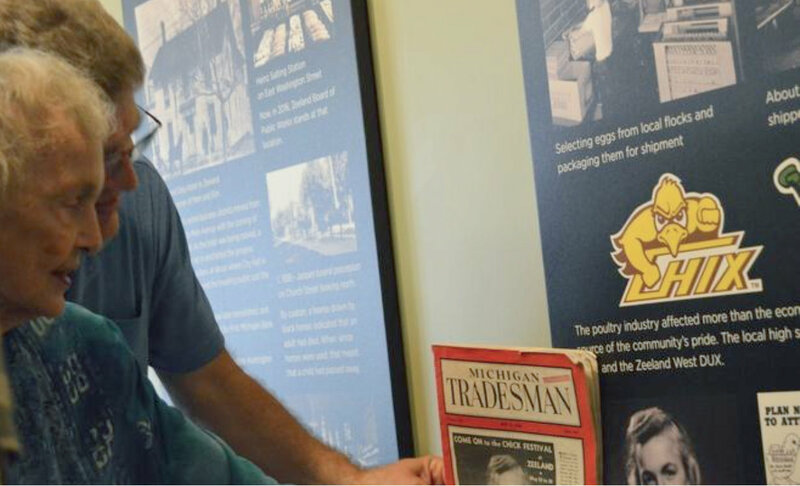 A new exhibit in the museum’s main gallery includes a slice of a tree that “witnessed” 174 years of Zeeland history and several new panels along one wall that detail different aspects of that history, including one about poultry production that features a young Dorothy Van Voorst holding an armful of baby chicks. She’s a mother, grandmother and great grandmother now known by her married name, Dorothy Van Dort, and sweetly greeted everyone who approached her asking if she was the young woman in the photos. “This is really nice to be sitting here talking to people, seeing pictures that remind me of when I was young,” she said. The museum, 37 E. Main Ave., is open 10 a.m. to 5 p.m. Thursdays and 10 a.m. to 2 p.m. Saturdays through the summer. Admission is by donation. 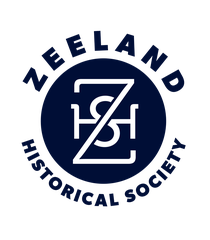 For details, visit zeelandhistory.org.